With every day that goes by there seems to be a new set of terminology (known to us plebs as Gobbledygook) that is tossed to and fro in Parliament and for which many of us have little or no comprehension at all. 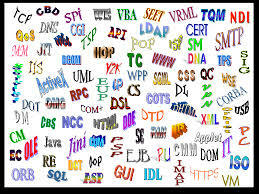 Add a few acronyms – and most of us are lost completely. NHS we know, but NHS CB has to be clarified, but are we any wiser knowing that this stands for National Health Service Commissioning Board ? I’m not. And what’s a “Strategic Clinical Network” when it’s at home – or away ? Is it what we used to call doctor’s practices ? Or maybe even HOSPITALS ? To ask the Secretary of State for Health for what reasons respiratory disease was omitted from the NHS Commissioning Board‘s list of strategic clinical networks. In July 2012 the National Health Service Commissioning Board (NHS CB) published a report entitled “The Way Forward: Strategic Clinical Networks”. This report explained how the NHS CB had come to the decision on the four priority areas it would support through strategic clinical networks, and how these networks would be supported by the NHS CB. Has Anna Soubry answered Kev’s question here or is it just an added bit to aid understanding of what they are all on about ? Your guess is as good, and probably better than mine. When I have a MOMENT I will look up the NHSCB and the SCN and TRY to understand what this is all ABOUT. This entry was posted in Uncategorized and tagged acronyms, gobbledygook, Kevin Barron MP, National Health Service Commissioning Board, NHSCB, Rother Valley, Strategic Clinical Networks. Bookmark the permalink.